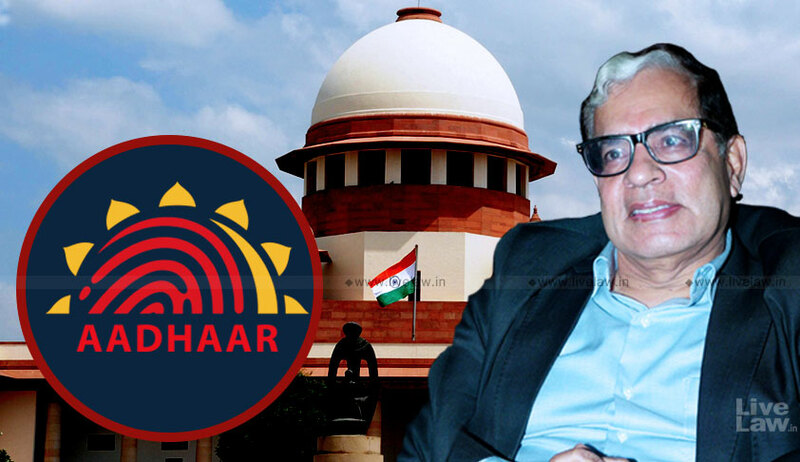 The judgment of Justice Sikri in the Aadhaar case has struck down Sections 33(2) and 57 of the Aadhaar(Targeted Delivery of Financial and Other Subsidies, Benefits and Services) Act 2016. The judgment authored by Justice A K Sikri, has concurrence of Chief Justice Dipak Misra and Justice A M Khanwilkar. Section 33(2) permits disclosure of information under Aaadhar act, including identity and authentication information, made in the interest of national security in pursuance of a direction of an officer not below the rank of Joint Secretary to the Government of India specially authorised in this behalf by an order of the Central Government. Section 57 of the Act permits private entities to use Aadhaar information to authenticate identity of the person. The judgment of Justice Sikri has read down Section 33(1) of the Act, which enables disclosure of aadhaar information on the orders of District Judge, to state that the owner of information should be given opportunity of hearing before issuing such orders. The judgment has struck down Section 47 of the Act, which stated that criminal complaints for data breach can be filed only by UIDAI. The exclusion of individuals from filing complaints was held to be arbitrary. The judgment however endorsed the Aadhaar project and held that enrolment was valid. It was also held that profiling was not possible and there were inbuilt safeguards against it. As regards enrolment of children, it was held that they should be given an option to exit the scheme on attaining majority.School admissions cannot be based on Aadhaar. CBSE cannot insist on Aadhaar for examinations. The judgment also stated that there was no impropriety in Aadhaar Act being introduced as a money bill. Section 139AA of the Income Tax Act was also upheld.